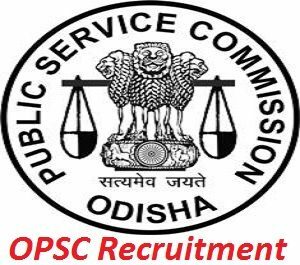 OPSC Veterinary Assistant Surgeon Recruitment 2018: The Odisha Public Service Commission invites the online application for the candidates who are well in all aspects. To Apply 87 OPSC VAS Job Vacancies get ready for the online registration. We are giving the complete details regarding the recruitment Notification. So, who are willing & eligible for the vacancy can join in the competition. Now, the candidates can start the application form to fill your detail from 20th June 2018. So, there is the time to get the application form Well, in the meanwhile candidates can check out the entire details relating to the OPSC Veterinary Assistant Surgeon Recruitment Notification. On this webpage, candidates can get the official notification to check the fine points to compleat the form. Whether you may doubt regarding the job notifications can leave a comment Or you can stick on this page RecruitmentIndia.In we give the renovated notifications. OPSC Veterinary Assistant Surgeon Recruitment Notification 2018: We are welcoming you on this page. The Candidates can follow the instructions which we are already giving on this page. Almost the application will be ended in this month of 19th July 2018. So, one should remember the important dates. Apart from that, candidates can follow the exam syllabus. We give from the official OPSC Veterinary Assistant Surgeon Recruitment relating to the exam syllabus & also some updates which are announced form the Officials. So, well-wishers can fix on this web portal we give some more details relating to the other job notifications. The Officials are going to hold the examination for the related job OPSC VAS Job Vacancy. Check out the other Central Govt Job Notifications.. So, Apply 87 OPSC VAS Job Vacancies to attain the good career throughout life secure. Hence, candidates can avail the complete details likely, Application fee, Vacancy Details, Selection process in detail, & also the Eligibility Criteria. Check out the compleat OPSC VAS Recruitment Notification details before starting to apply. To work in this organisation candidates have to face the Interview the one who are shortlisted in the written examination. So, check out those important fine points while applying the Recruitment Notice. Also, for the preparation for the OPSC Veterinary Assistant Surgeon use the Exam syllabus. Candidates can have the Eligibility criteria to apply for the Specialist Officer vacancy. Aspirants have to pay the fee as per the Rules of the Government. To get placed in the OPSC Veterinary Assistant Surgeon Recruitment must overcome hose rounds. Applicants must have to follow the Age criteria to apply for the OPSC Veterinary Assistant Surgeon Vacancy. Apply 87 OPSC VAS Job Vacancies. Maximum the Odisha Public Service Commission invites the job vacancies to fill the vacancies nearly87 Veterinary Assistant Surgeon seats. So, don’t neglect the registration. To get placed in the organisation must have to register by giving the details to the OPSC Recruitment Board. The OPSC Veterinary Assistant Surgeon Recruitment Board officials are planning to conduct the OPSC Veterinary Assistant Surgeon Exam on last week of the Aug 2018. So, without waiting a while practice more to get the maximum marks. Then, Submit the form after compleating the filling process. Take out the print out it will be useful for you in further sections.